Wow! 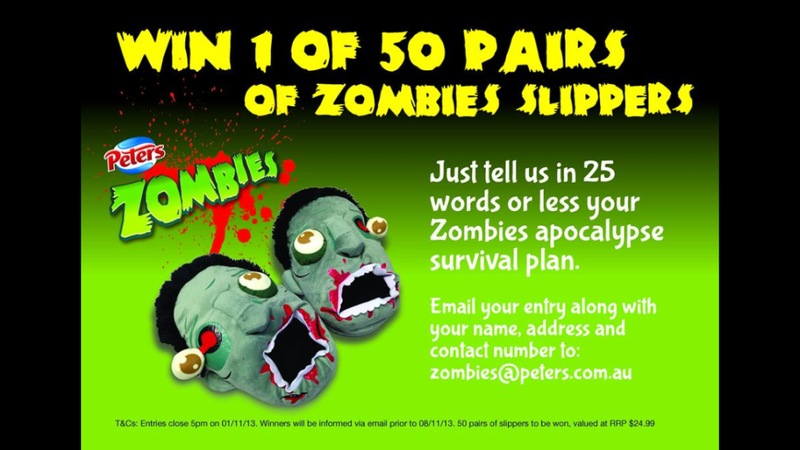 Win these nifty Zombie Slippers by simply reciting your Zombie Apocalypse Survival Plan (you’ve already got one right ?) email your name address and contact number to [email protected] and keep your toes nice and warm!